Teff has originated in Ethiopia and Eritrea area, and is believed to be one of the earliest plants domesticated. In 1996 the US National Research Council Classified Teff as having the "potential to improve nutrition, boost food security, foster rural development and support sustainable landcare"
Teff has an attractive nutrition profile, because it is high in dietary fibre, iron, protein and calcium. 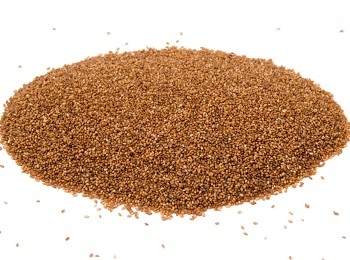 Although Teff grain is similar to millet and quinoa, it is much smaller and much easier to cook.